Hello girlies and a big Ramadan Mubarak to you all! 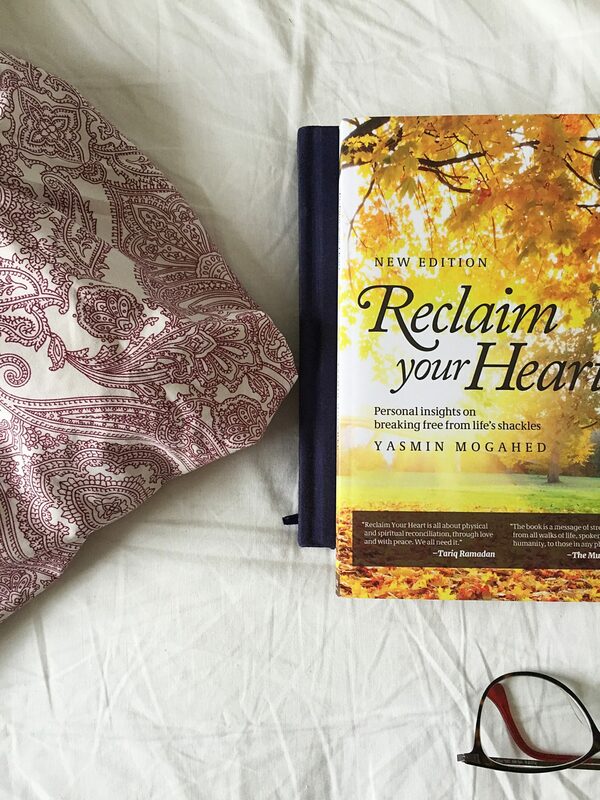 To start off my Ramadan posts, this is a book review of Yasmin Mogahed’s Reclaim Your Heart. Enjoy! I’ve picked up quite a lot of Islamic literature and the one thing I always look for is a book, which is an easy read. This book is just that. It’s easy to comprehend and even though it gets quite intense at times you don’t lose the purpose of the words, you can understand them and you can relate them to yourself, it’s written in such a straightforward and conversational manner its easy for anyone to grasp. There’s many times where Islamic literature books have been so intense and written in such difficult English that it’s often hard to comprehend and understand truly what’s written. This book is the opposite of this, this book honestly truly touches you and connects to you the whole way through, this is because Mogahed speaks truly from her heart, you feel this in her words. The beauty of this book is that every chapter, every line can be related to the reader, yet when you read it you feel like the words are just made for you. 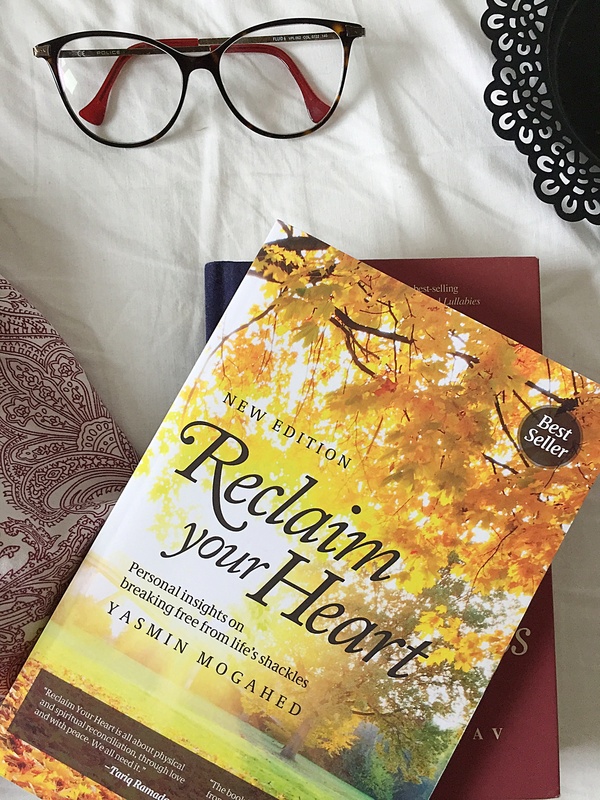 Reclaim Your Heart is a full of a variety of reflective essays of spiritual struggles that an individual goes through on their parth to Allah (swt). In going through times of stress and struggle, the first thing I do is reach for this book on my shelf, open it and find a relevant page and it will instantly calm me down. There’s very little books that truly touch you, this is one of them. I gurantee anyone who reads this book will benefit from it, inshallah. If anyone can take anything from this post, it’s to pick up this book and read it, it was the best thing I’ve ever done. It’s a perfect read for Ramadan too! !